And so the moment arrived! 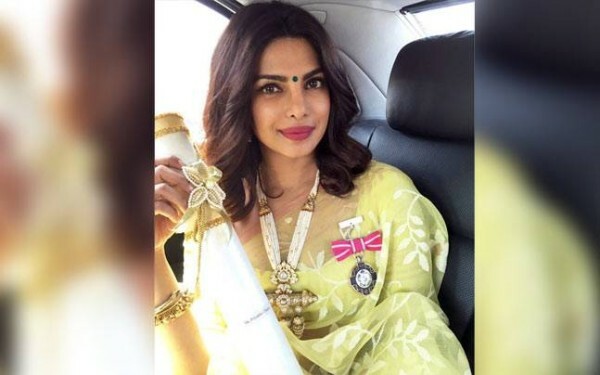 After innumerable achievements and international accolades that made the country proud, Priyanka Chopra finally received the prestigious Padmashree Award yesterday, by honourable President Shree Pranab Mukherjee, and we couldn’t be happier for her. The declaration for the same had already been done this year, on the Republic Day. 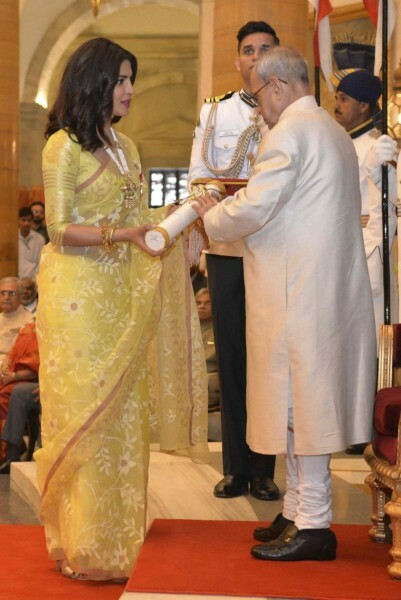 Piggy Chops looked an absolute stunner in the golden yellow saree that she wore for the function at Rashtrapati Bhawan, and the grace with which she carried and accessorized it, can teach a lesson or two to many, on how to dress for the occasion. Looking elegant and ethereal, the white neckpiece and green bindi just added the right aura to her already charming and gorgeous avatar. The Desi Girl has been stepping ladders and ladders of success one after the other, be it grabbing the lead role in Quantico or receiving the People’s Choice Award for it, or even releasing international albums, the lady has shed inhibitions, pushed the boundaries, and done it all, irrespective of the risks and fears. Her hard work sure paid off as she has become a name outside of the nation too, in such a short span of time. She will also be seen alongside Hollywood biggies, in Baywatch. 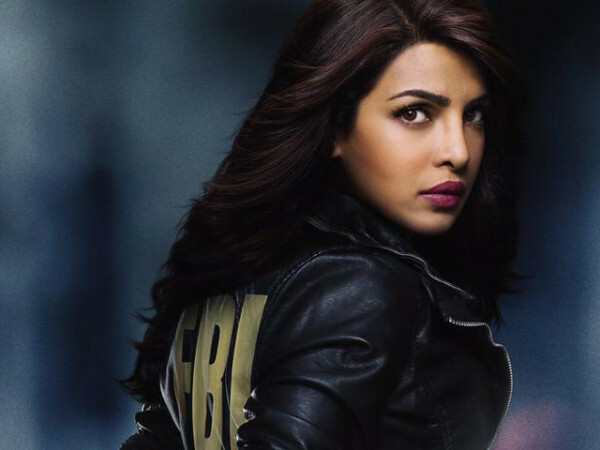 Well done Priyanka! We are privileged to have harboured a talent like you amongst us. Keep doing us proud and ignore the jealousy, criticism and negativity that comes along your way.